Get £20 free Texaco fuel when you buy car insurance! T&Cs apply. Scottish postcode exceptions apply. Offer ends 31st May 2019. Find out more. *Based on online independent research by Consumer Intelligence (December '18). 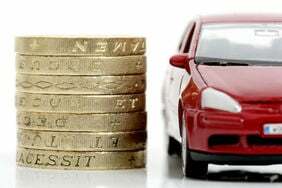 51% of car insurance customers could save £246.96. "Saved £200 on my car insurance by spending 4 minutes on Confused.com. Brilliant." We compare 116 car insurance providers to save you money. What details do I need to get a cheap car insurance quote? The car's number plate is useful, but not essential. Please declare any modifications. Details of your NCB in years. You can request this from your insurance provider. You’ll need other drivers’ names and licence details to add them to any policy. Type of licence; how long you've had it; details of any points or disqualifications from the last 5 years. Date, claim cost and accident type for any accidents or claims in the last 5 years. If you have a pickup and are looking for insurance, you'll need to use our van insurance process. This is because generally 4x4s are classified as cars and pickup trucks are not due to their longer wheel base and the fact they often exceed 3.5 tonnes. What kind of insurance should I get? The lowest level of cover available. It insures you against damage caused to someone else or their property, including your passengers, as the result of an accident. It doesn't cover your car against repair or replacement. Offers the same level of cover as third-party, but also covers your car for repair or replacement if it's stolen or damaged by fire. Offers the most protection, covering you and your car, as well as other people and their property. We've covered the three levels of cover in more detail in our guide to insurance policy types. Insure all the cars at your address and get a discount. Short-term cover from one to 28 days. Cover for those learning to drive in their own or someone else's car. Uses an app on your phone or box installed in your car to monitor your driving. Information such as when you drive, your speed, braking and handling is captured and shared with the insurance company to base policy prices on. Cover specifically designed for owners of classic cars. For insurance purposes, a classic car can be any car that's older than 15 years. If you use your car for more than just domestic use, including business driving away from your normal place of work, you'll need a business policy. More powerful cars tend to have more expensive accidents, can be pricier to repair and fall into higher insurance groups. Older cars with more miles on the clock, smaller engines and lower price tags usually fall into lower insurance groups. Prices may change if you're willing to a pay a little more towards any claims. Make sure to also consider any compulsory excess listed on a policy, as you'll need to have funds available to cover the total policy excess. Adding an experienced driver to your policy can lower prices. You should always list the person who drives the car most often as the main driver, and any occasional drivers as additional. Increasing the security of your car above the standard manufacturer level can help, but even basics like parking off-road can affect prices. Building up a no-claims bonus can help shave pounds off your premium. If you're a young or inexperienced driver, black box policies can make insurance more affordable. Price trends for drivers - who's saving the most? This April, we published the latest update to the ** Confused.com car insurance price index, our quarterly analysis of comprehensive insurance policy pricing in the UK. The average quoted premium for an annual comprehensive insurance policy now stands at £762, a decrease of 1% (-£12) over the past quarter. 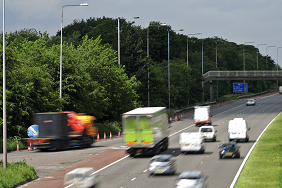 Despite the decrease, 55% of drivers said their renewal price went up by £46 in the last three months. This suggests insurers are failing to reward loyal customers, making it more important than ever to shop around and compare your best prices. Interested in how prices for your region, age or gender have changed? Take a look at our price index calculator to get an estimated cost on your insurance. How does it work? How do you build one up? How do I save on car insurance? Can I drive someone else's car? Why you should check your policy wording. Should you consider comprehensive cover? How do I cancel my car insurance? What you need to know about cancelling your car cover. Our car FAQs have all the answers! Why use Confused.com to compare car insurance quotes? Not only could you save up to £246* on your insurance, but you can also use Confused.com to help make driving that little bit more affordable. We compare a range of motoring products from breakdown cover to GAP insurance and car finance. So why buy through us? for you to compare by showing your cheapest annual and monthly prices. are shown clearly in the results table. from trusted brands such as AA, Admiral, Churchill, Tesco and many more. "Halved the price of my insurance by using Confused.com." "Easy to use, got car insurance for about £200 cheaper! Thanks Confused.com!" "Great comparison site. Very easy to use. Great value..."
"An easy way to search for cheaper car insurance. The number one comparison site." "Simple and easy to use. All my details from last year were pre-filled. Got a quote £200+ lower than my renewal"
"When it comes to cheap car insurance, we make it easy to compare prices. With over 15 years' experience, we're here to help you save time and money." What influences your car insurance cost? Great deals on home breakdown, roadside recovery and even European cover. Looking for more driver wins?